I have always been on the lookout for the perfect full coverage foundation! It’s so hard to find one that not only perfectly matches my skin tone, but is also natural looking. 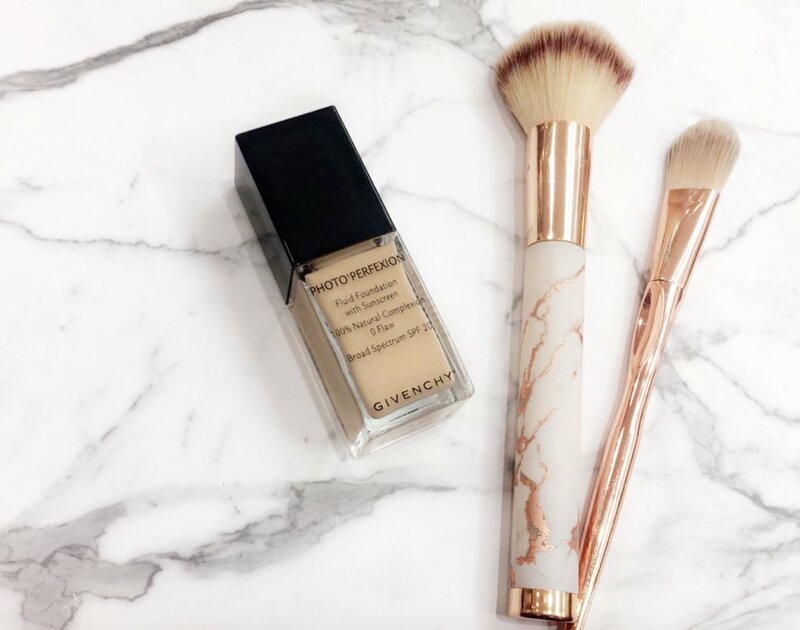 Givenchy Photo Perfexion Foundation totally checks all the boxes! It’s natural, full coverage, and they offer so many shades so that you can find the perfect foundation to match your skin tone. I tried shade #4 “Perfect Vanilla” and it’s definitely the perfect shade for me. It blends so well and it looks so natural. I can seriously wear this all day, it doesn’t cake and it doesn’t melt off. The best part about this foundation is that it’s pretty much all I need to feel confident about my skin. On days that I’m running late, I will just dab a little bit of this on and feel good to go! (Okay, maybe a little bit of mascara too.) But still, that’s huge for me since perfecting the appearance of my skin is typically a multi-step process, I LOVE that this one foundation cuts that process down to one step. Basically, my makeup routine has been changed forever and I love it! I recently tried the Givenchy Photo Perfexion Foundation and let me just say I love it! I have tried a lot of foundations over the years and this one is definitely in my top favorites. This liquid foundation gives an overall even and long lasting coverage without feeling too heavy. Sunscreen is a must when it comes to my daily skin care and this foundation is a two-in- one containing SPF 20. Not to mention I felt like I had gorgeous color and glow to my skin all day. Even in the Arizona heat this foundation stayed put and still felt light on my skin. It remained silky smooth and moisturized to the touch without turning dry or oily throughout my days activities. This Givenchy foundation is surely a product that I will be adding to my makeup regimen! Check out how Givenchy helped my skin be totally photo-ready in the photo below!